Great location, nice clean room and comfortable beds. Large room with comfy bed. Sea view was beautiful. Just a few steps to the beach and plenty of bars and restaurants. We ate in Sensations and Martin Morales. Both were good. Food was lovely and service was good. Also good value for money. Great location near the beach, bars, restaurants and shops. Parking was easy and free although it was out of season. Lift to top floor was helpful as we stayed with my parents. Staff on reception were absolutely lovely and very helpful. Sea view from the balcony. Powerful shower. Large bedrooms and beds. Good air con in bedrooms. Excellent location, rooms were basic but had everything you needed for a budget stay. Staff were helpful and friendly. We booked a studio apartment and it was everything we needed for a short term stay. Staff were so friendly and helpful. The Studio Apartment was lovely. facilities were all there. Large apartment. Very comfortable. Close to beach. Very good value. 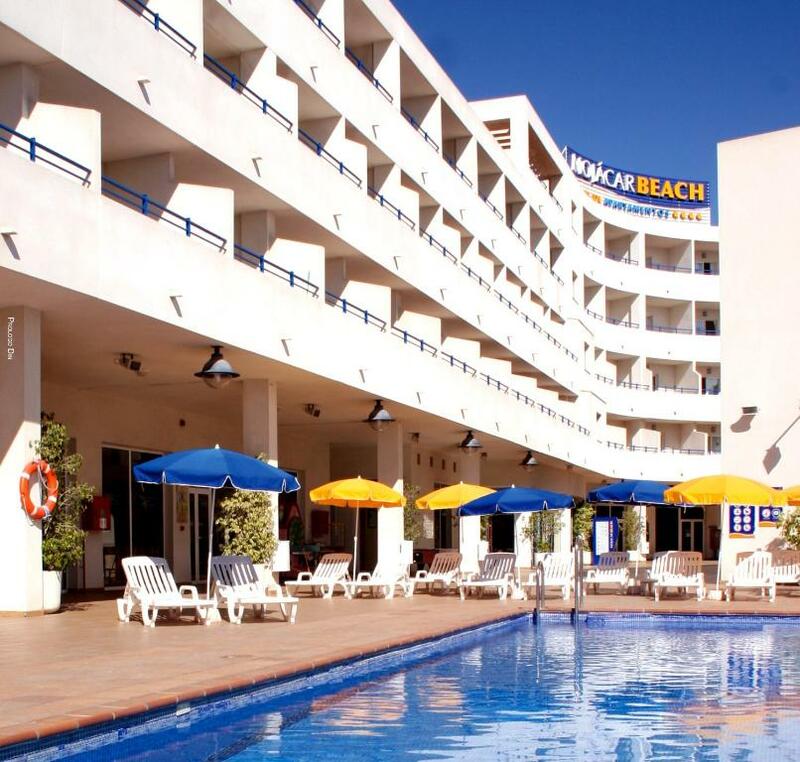 Hotel Apartamentos Mojácar Beach This rating is a reflection of how the property compares to the industry standard when it comes to price, facilities and services available. It's based on a self-evaluation by the property. Use this rating to help choose your stay! There is a seasonal outdoor pool at Mojácar Beach, where accommodations includes apartments, studios and suites. This complex is 150 feet from the beach. 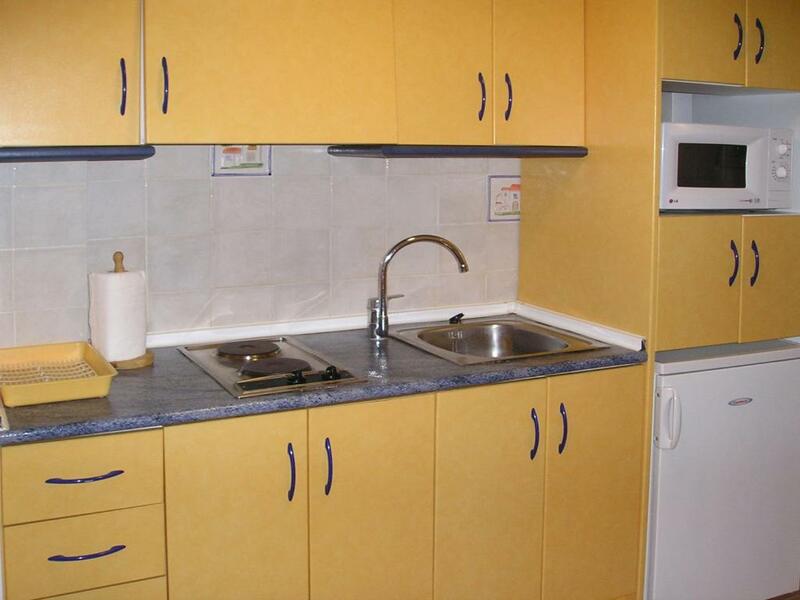 Apartamentos Mojácar Beach features air-conditioned accommodations with TVs, a microwave and fridge. Apartments and studios have seating areas, balconies and a well-equipped kitchenette. Some apartments and suites offer free WiFi and sea views. Please see Important Information about towel changing and cleaning frequency. The complex is in the center of Mojácar, with its many shops, bars and restaurants. Club Playa Macenas Golf Course is 2.5 mi away. Almeria is an hours' drive away. When would you like to stay at Hotel Apartamentos Mojácar Beach? This apartment features a lounge with a sofa bed and an open-plan kitchen, a twin bedroom and a private bathroom. It also has a terrace. This modern, air-conditioned apartment features 1 twin and 1 double bedroom and a lounge with a sofa and a flat-screen TV. The kitchen includes an electric hob and microwave. There is also a private terrace with panoramic sea views. This air-conditioned studio features a TV, a kitchenette and a private balcony. The bathroom includes a hairdryer. This spacious suite features stylish décor. It has a separate seating area, 2 flat-screen TVs and a hydromassage bath. There is also a fridge. This apartment features a lounge and an open-plan kitchen, a twin bedroom and a private bathroom. It also has a terrace. This air-conditioned apartment features 2 twin bedrooms and a lounge with a TV. The kitchen includes an electric stove and microwave. There is also a private terrace. House Rules Hotel Apartamentos Mojácar Beach takes special requests – add in the next step! Up to two children from 0 to 2 year are charged EUR 3.50 per person per night in a crib. Hotel Apartamentos Mojácar Beach accepts these cards and reserves the right to temporarily hold an amount prior to arrival. Late check-out until 19.00 is available on Sundays, upon request and subject to availability. Extra charges may apply. Cleaning and changing of towels only takes place for stays of 7 nights or more, and will be done midday through the stay. For stays of less than 7 nights, these services are not included. Please inform Hotel Apartamentos Mojácar Beach of your expected arrival time in advance. You can use the Special Requests box when booking, or contact the property directly using the contact details in your confirmation. The bathroom in our suite had a glass door and a glass wall which when the light was on was see through from the living room. Not a desired design feature. We booked a suite with a sea view but we were disappointed by the lack of balcony. Next time we would book a normal room as they all have balconies. Furniture and decor were dated, sofa in the apartment did not look clean and was worn. Smell of stale smoke. Had to tune the TV ourselves. Glasses etc in the cupboards weren't clean. Lock on bathroom door was broken. Air con in living room was leaky and spat out dust and water. Pool area was dated and not clean - cigarette butts everywhere. The pool itself had broken tiles and steps and I'd worry about safety if we had small children. Needs a bit of TLC. Wouldn't like to stay longer than a couple of days. Very disappointed as pictures are very misleading.. also we booked 2 suites which turned out to not even have a balcony and the rooms smelled of cannabis and was very bad. We got moved to apartments instead and only got view of solar panels on the roof. The room was not clean and also broken frames. I’m very disappointed with this hotel and the price we payed for what we got was rediculous.. I would not recommend this hotel to anyone and I would not stay here again..
Only good part was outside the hotel.. The rooms were noisy in the early hours with everyone coming in from nights out. Dirty old , in desperate need of renovating, untidy, overflowing bins, grubby pool area. The entire hotel was full of groups of young people, drunk and shouting until the very early hours of the morning. I understand Mojacar is a hot-spot for these groups, but it wasn't a particularly cheap night and I felt it would have been worthwhile warning a family with two small children what they would be getting before booking. Otherwise, moving us to a quieter part of the building (if there was one) or offering some compensation might have been an option. Can't think of anything negative to say. Although advertised with a sea view. It did not have a balcony this should be stated on the web.